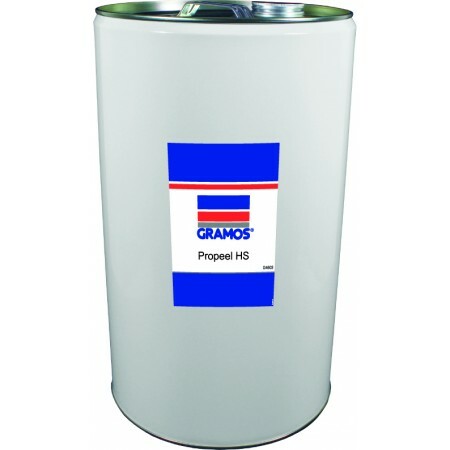 Gramos / Orapi's Propeel HS is a white, heat-stabilized, solvent-based temporary protective coating designed for application to all smooth metal spray booth walls in order to provide an easy method of maintenance. It can withstand exposure to temperatures up to 83 degrees C. Resistant to solvents once dry. The dried film collects paint over-spray and is then readily peelable to enable even heavy over-spray deposits to be quickly and easily removed.